Originally from South Dakota, Brent has played stages from New Zealand to Broadway, and now the legendary Duplex. 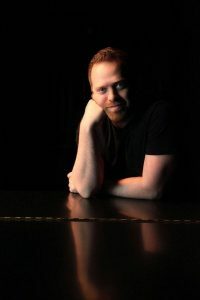 Credits include principal pianist THE ILLUSIONISTS at the Palace Theater on Broadway. 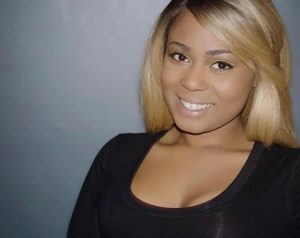 Music Director and keys for FLASHDANCE the musical national tour. Onstage Blog best actor in a musical award Westchester for Chris in MISS SAIGON. Other regional music theater credits include CHESS, PARADE, RENT, SWEENEY TODD, LES MIZ. 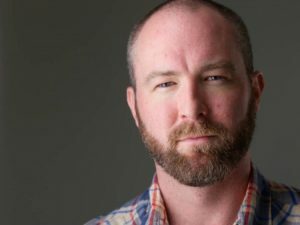 Originally trained in opera and composition at the Cleveland Institute of music and the University of Washington, McGee has worked with the Seattle Opera, Cleveland opera, and Lyric Opera Cleveland. Brent spent five proud years as a public school music and choir teacher before making the transition from classical to pop/broadway to fulfill a life long dream of belting it out and rocking it out at the keys in NYC. Brent can be found entertaining in rooms all around the world including the classy Club Rayé in Paris, to the illustrious Town House in NYC, as well as other haunts like the old Uncle Charlie’s, but considers the Duplex home. Specializing in songs you forgot you liked, Brent blends humor, talent, and sass each night in equal measure. 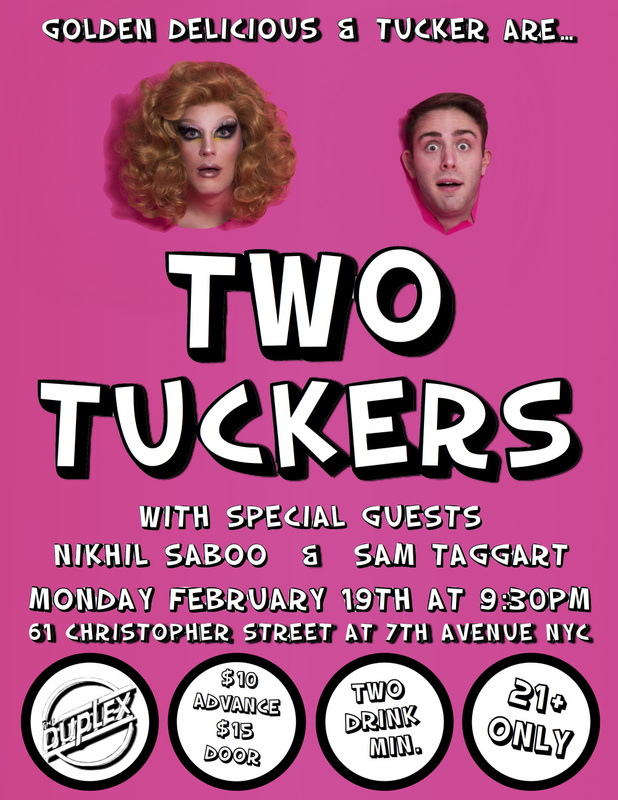 TWO TUCKERS will feature TWO SPECIAL GUESTS — NIKHIL SABOO (Broadway’s Mean Girls) and SAM TAGGART (Brooklyn Magazine’s 50 Funniest People).